Earth & Space-tacular Festival | ECHO Leahy Center for Lake Champlain | Science & Nature, Nature & Science | Kids VT - small people, big ideas! When: Through April 28, 10 a.m.-5 p.m. 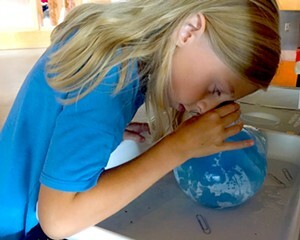 The community celebrates Earth Day by planting seeds and participating in the museum's mud fling — the traditional tossing of mud balls off the deck — or taking an educational trip through the solar system with out-of-this world activities like imagining life in space and creating stomp rockets.